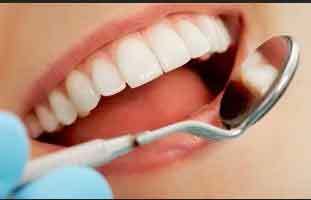 BOSTON: Poor oral health may lead to pancreatic cancer (PC), suggests a new study. The study, published in the journal Cancer Epidemiology, Biomarkers & Prevention, found that prevalence of tooth loss and periodontal disease (gum infection) among African American lead to higher incidence of pancreatic cancer in them. The risk is especially increased with the loss of five or more teeth. The incidence of pancreatic cancer is higher in African Americans than in U.S. whites. Hanna Gerlovin, Slone Epidemiology Center at Boston University and colleagues examined the relation of self-reported measures of oral health (periodontal disease and adult tooth loss) in relation to pancreatic cancer incidence in the prospective Black Women’s Health Study (BWHS) with follow-up from 2007 through 2016, considering the fact that poor oral health is disproportionately common in African Americans. Hazard ratios were calculated for pancreatic cancer for women with periodontal disease, tooth loss, or both, relative to women reporting neither. Seventy-eight incident cases of pancreatic cancer were identified. After adjustment for age, cigarette smoking, body mass index, type 2 diabetes, and alcohol consumption, the hazard ratios for pancreatic cancer incidence were 1.77 for periodontal disease with no tooth loss, 2.05 for tooth loss with no periodontal disease, and 1.58 for tooth loss and periodontal disease. For the loss of at least five teeth, the hazard ratio was 2.20 (95 percent confidence interval, 1.11 to 4.33), regardless of whether the periodontal disease was reported. According to the researchers, these observations may be related to oral bacteria and the inflammation caused by certain bacteria. In previous studies among different populations, the presence of circulating antibodies to selected oral periodontal pathogens was associated with increased risk of PC. “Oral health is a modifiable factor. Apart from avoiding cigarette smoking, there is little an individual can do to reduce the risk of PC. Improving access to low cost, high-quality dental care for all Americans may decrease racial disparities in this cancer,” said Julie Palmer, ScD, associate director of BU’s Slone Epidemiology Center and a professor of epidemiology at BUSPH.